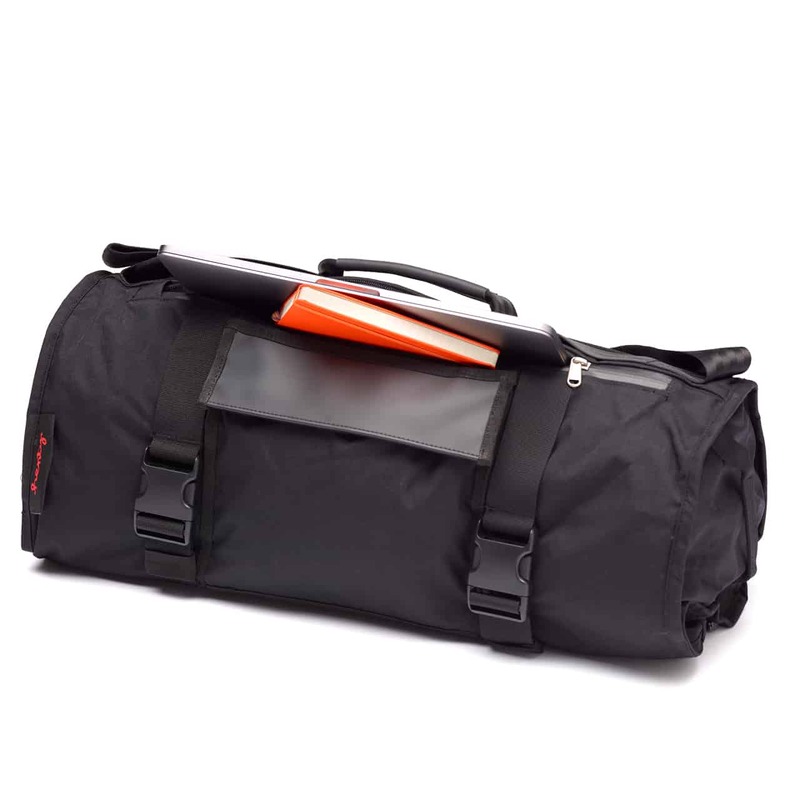 Henty’s Inner Messenger is the ideal companion for the Wingman or CoPilot garment bags. They come in both Backpack and Messenger styles. The Messenger combines the accessibility of a messenger bag and the weatherproof features of a dry bag. 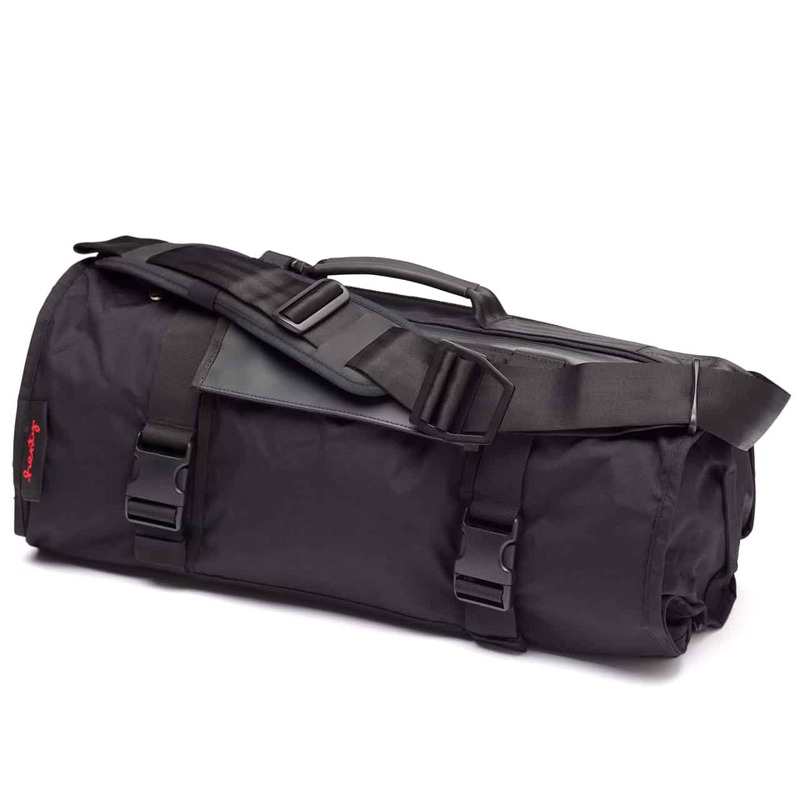 The Inner Messenger offers additional features and functionality when compared to the 14/18/20L Inner Tubes which come with the CoPilot and Wingman. Combine the CoPilot or Wingman with a Inner Messenger in one bag for travel and commuting, then separate the Inner Messenger at your destination to carry your clothes, gear and laptop to meetings or the gym or both. 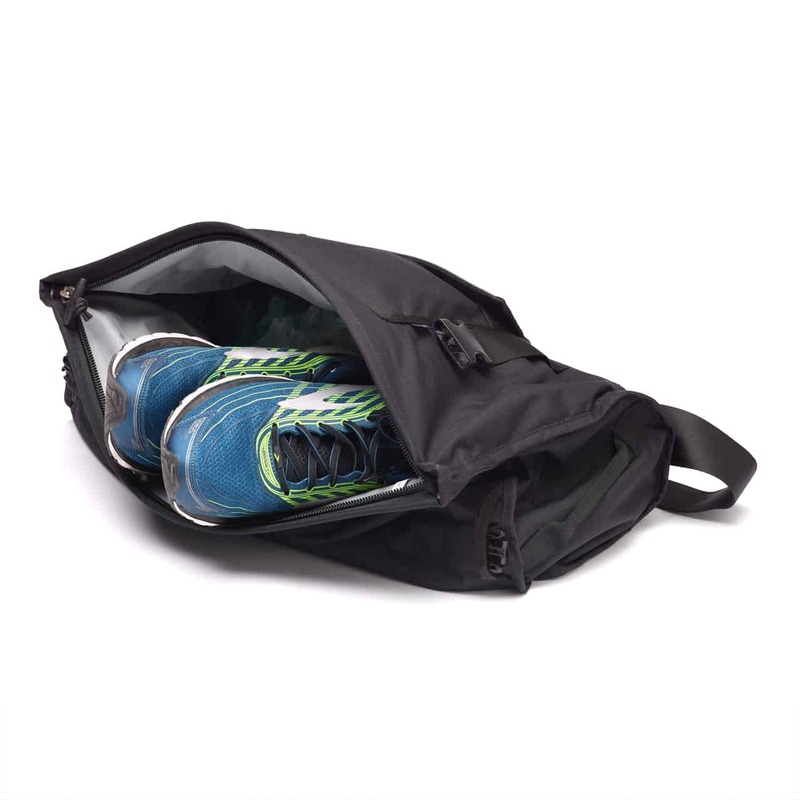 The unique, tubular design and large zipper access to the main compartment allows easy packing and unpacking, with a minimum of rummaging. Two clips facilitate connecting to the Wingman or CoPilot garment bags, allowing the Wingman or CoPilot to be rolled around the Inner Messenger. Laptop? Check. The Messenger can carry a tablet and/or laptop up to 15 inches in a padded sleeve adjacent to the sweat-pad, where an organiser for pens, notepad etc is also located. The Inner Messenger can be used with the opening flap either rolled, to ensure maximum protection from the elements, or with the flap down, allowing for ease of access. 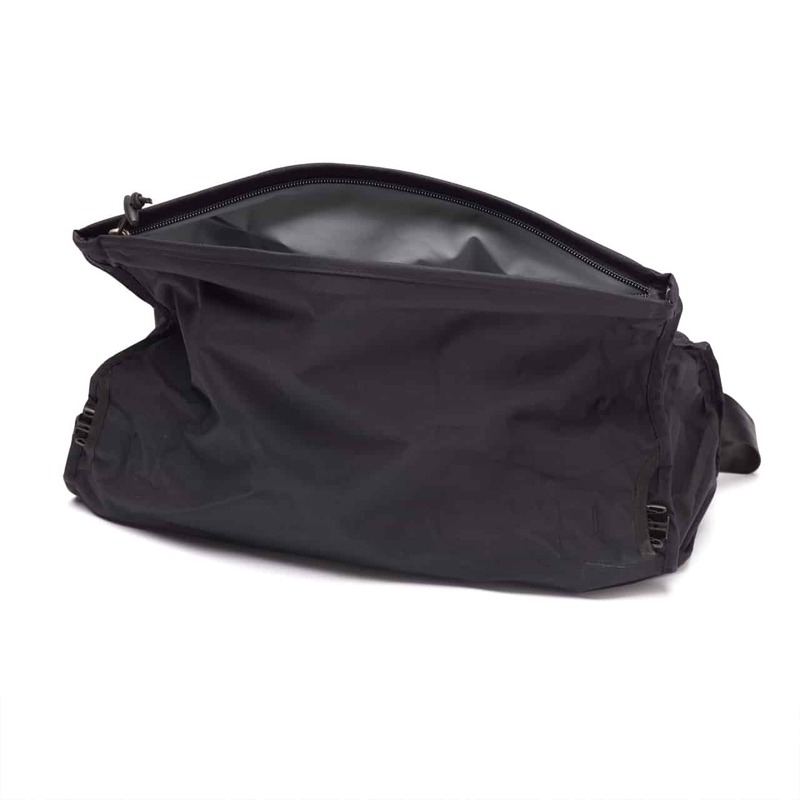 The main compartment has welded seams which can hold your clothes/gear safe from the elements.